After a hiatus, Girl Scouts Coast to Coast is back and today’s edition celebrates spectacular Girl Scouts stories from all over. Let’s get started! 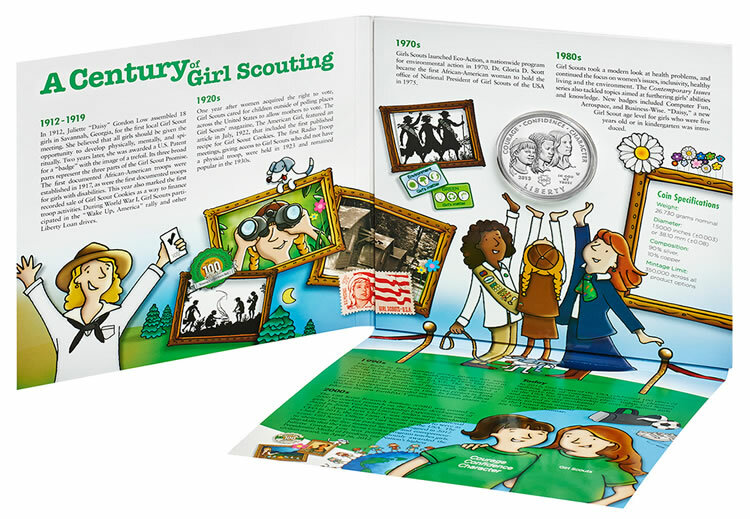 Silver Coins Today reports that the United States Mint released the 2013 Girl Scouts of the USA Young Collectors Set. Priced at $54.95, the new 2013 Girl Scouts of the USA Young Collectors Set includes one 2013 Girl Scouts of the USA Centennial Uncirculated Silver Dollar. The coin is packaged within an information tri-fold folder designed for youngsters. The folder presents "Mint Kids" and other characters that discuss the history and centennial of the Girl Scouts of the United States of America, the organization established on March 12, 1912, by Juliette Gordon Low. Order yours now! The Southern Illinoisan reports that Girl Scouts of Southern Illinois will host Big Kids Day at Camp on Aug. 10 to celebrate the 60th Anniversary of Camp Cedar Point, near Makanda. In 2012, GSSI provided more than $10,000 in camperships to ensure that every Girl Scout had the opportunity to experience resident camp. 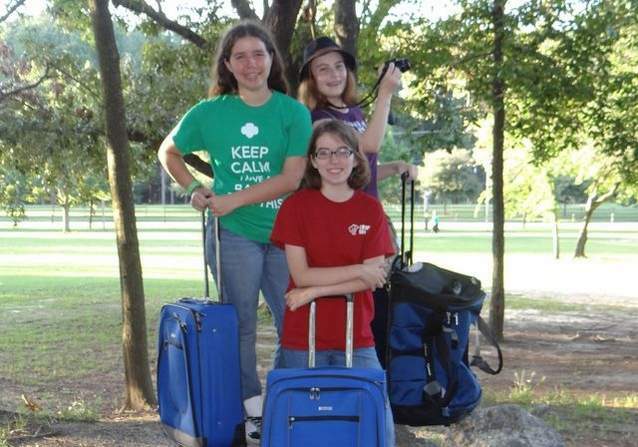 Ohio’s Aiken Standard reports that three local Girl Scouts have been selected to participate in what the Girl Scout organization refers to as “destinations” – domestic and international travel experiences that can last anywhere from two days to three weeks. One Girl Scout is headed to Hollywood, one is set to ravel to India and another will be ringing in the New Year in London and Paris. Exciting! Tennessee’s WBIR TV 10 has a call out seeking Girl Scout volunteers. In New Mexico, the Las Cruces Sun-News reports that The Girl Scouts of the Desert Southwest are hosting a luncheon Sept. 19 and they need the area's best women to be there. "Women of Distinction luncheon is a function that many, many Girl Scouts councils do across the country," said Diane Flanagan, CEO of the GSDSW. "Our council is so big that we really wanted to do a second one." The Girl Scouts of the Desert Southwest council covers 94,000 square miles and includes 10,000 girls and 2,000 volunteer adults.